The Museum of Fire, as the name suggests, is phenomenal place for visitors to learn about the history of the country’s fire services. The museum is home to exhibits revolving around fire safety, firefighting techniques, as well as the history of firefighting in the country. This museum is a monument to the brave men and women who gave their lives to a worthy cause. Their dedication and courageousness is what makes this museum such a charming location. Needless to say, this is not just a museum where one walks in and out – it is a place of discovery, and one you are likely to spend a couple of hours in. On arrival at the museum, visitors get to learn more about what happens in explosive accidents. This is an integral part of the visit because it also teaches visitors the most elemental rules that revolve around smoke and fire. The ability to look at the kind of damage fire causes, both on property and the human body, is an eye-opening experience. Add to these the numbers and facts about fire, including the emergency numbers to call, and you get an idea of just how important this museum is. Head on to the theatre where you get to watch a short film on the importance of fire safety. From here, it is a dream come true for fire engine enthusiasts. From horse-driven fire trucks that highlight fire fighting in the years gone by, to war-time fire trucks, there are many different trucks on display to view and experience. There is a children’s play area that features models of the different fire trucks, interactive games, and even cabins to play in. Visit the souvenir shop to get some great gifts and firefighting memorabilia. 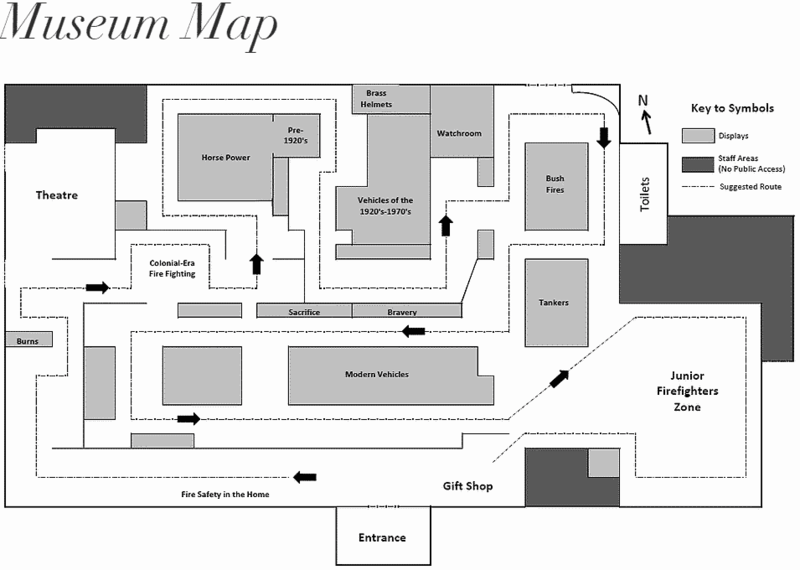 The Museum of Fire does not have a Cafe, but light snacks (chips, chocolate and soft drinks/water) are available in the Gift Shop. The Museum of Fire is located on 1 Drive in Penrith, Sydney and is easily accessible for wheelchairs and people with limited mobility.